When the folks at Carpano asked if I’d like to try a bottle of their newest vermouth–Carpano Dry–I jumped at the opportunity. I’ve long been a fan of their sweet vermouths, Carpano Antica and Punt e Mes (Carpano Antica has been a staple in my Manhattans for years). I was curious to see what their take on dry vermouth would be. It is, like other dry vermouths, grapey, but it has a distinctive citrusy scent on the nose and a more herbaceous, green apple flavor profile than other dry vermouths I’ve tried. 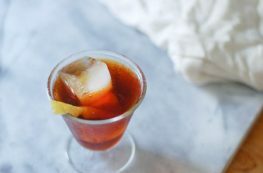 I know that many people think vermouth is the thing that you leave out of a Martini, but without vermouth, you’re left with a glass of gin (or vodka), which, let’s be honest, isn’t a cocktail. The bad reputation comes from old, improperly stored vermouth, which has turned (like a bottle of wine that’s been open too long and turned vinegary). 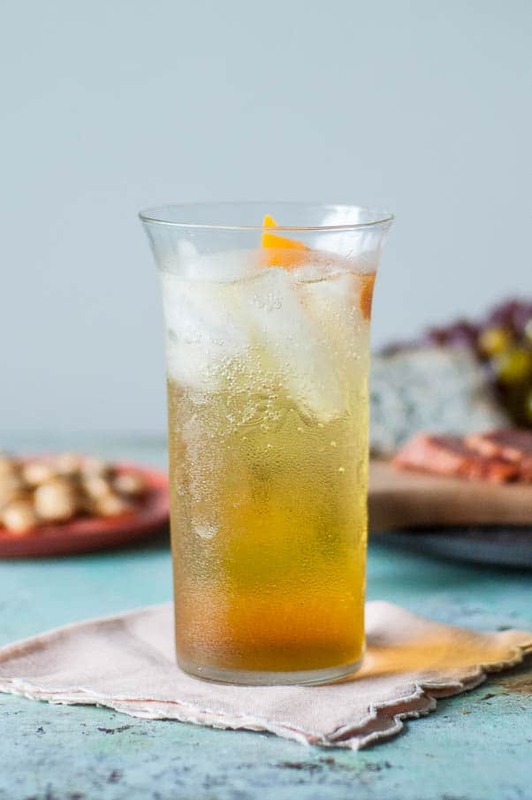 Vermouth should be stored in the refrigerator (or if you’re a serious drinker lacking in refrigerator space, with inert gas) and consumed within a few months. But good, freshly opened and properly stored vermouth is, as a category, lovely. And this Carpano Dry is nice and refreshing enough to drink on it’s own over ice, with maybe, a bit of lemon or orange peel. But Carpano asked me to develop a cocktail for the virtual Aperitivo Hour they’re hosting with San Giuseppe Salami, who were kind enough to pass along samples as well. 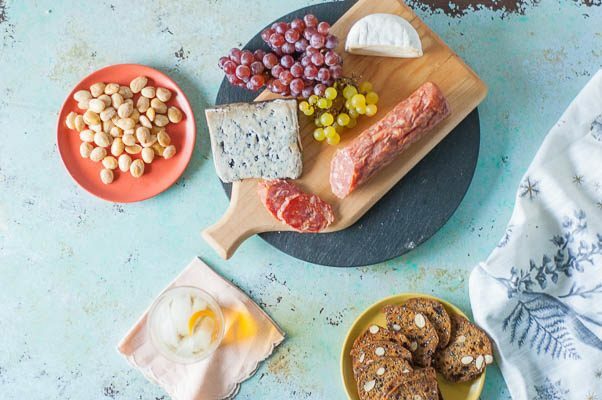 An aperitivo is a northern Italian ritual (started by none other than Antonio Benedetto Carpano, the creator of vermouth) of a light pre-dinner drink and nibbles meant to “open the stomach” to get the juices flowing. But beyond the ritual, the name has come to describe a category of dry, bitter, low-alcohol drinks. 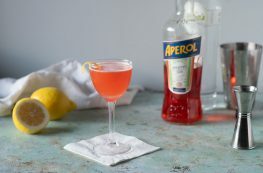 Today’s drink, the Expat cocktail, is a take on a classic aperitivo, the Americano, a drink with Campari and sweet vermouth reputed to be popular with Americans abroad during Prohibition. Here, Gran Classico, is substituted for the Campari, and Carpano Dry is subbed in for the sweet vermouth. Gran Classico is a bit sweeter and a little less bitter than Campari, so the dry vermouth provides a drying balance. The overall effect is a dryer and more herbaceous drink than a classic Americano. It’s light, slightly bitter, goldy-orange, and effervescent. It’s just the sort of drink I like to have with a simple cheese and charcuterie plate before dinner. Just make it already. 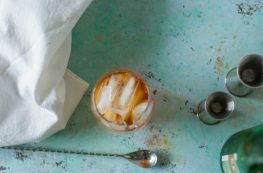 This drink is a twist on the classic Americano. Here Gran Classico and Carpano Dry are used in place of Campari and sweet vermouth. I have to credit Dan for helping develop this cocktail. It’s a nice little drink. In a collins glass, add the Gran Classico, Carpano Dry, and some ice, stir until well chilled. Top with seltzer and a slice of orange peel. Serve. Thanks, Steve! I think you’re right–this would be perfect on a hot humid evening. This is a new one for me – awesome! Thanks, Sara. I hope you love it! I’m going to start drinking these just so I can call myself an expat! Looks delicious! I feel a weekend coming on! Ha. I studied abroad in college and spent a year as an expat. It is fun to say. Oh I can’t wait to try this! I’m a fan of Punt e Mes also. This post has made me so “homesick” for Italy.Sigh…. Thanks, Christine. I miss Italy too. I lived in Rome for a year in college. It’s a beautiful country. I’m so jealous! I’ve only visited, never lived there. It’s a dream, though. I have a little bit of an expat past and this looks like just the sort of drink I would love with that beautiful spread, and a couple of my friends from my travels. Thanks Rachel. I hope you give it a try!